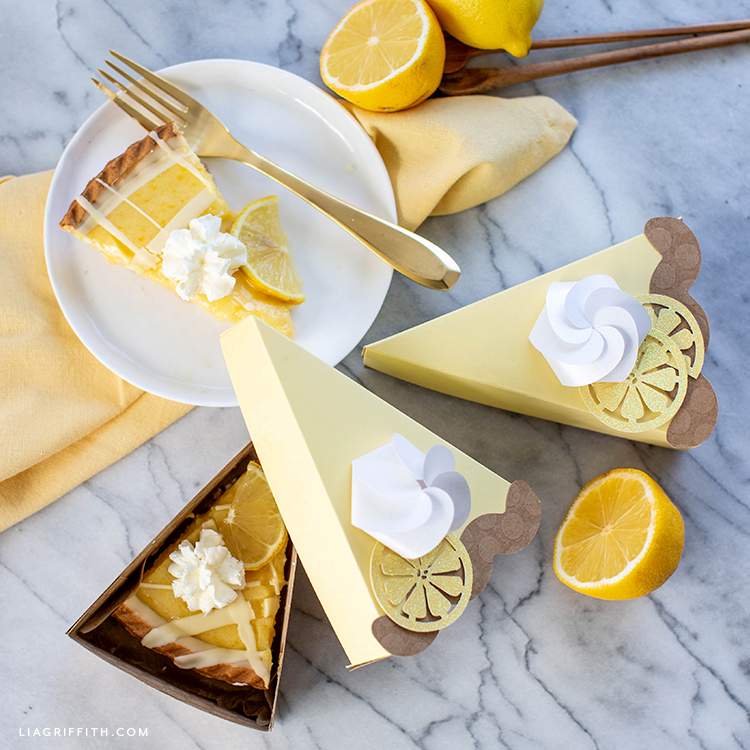 We whipped up these paper lemon tart pie boxes for Pi Day a couple of weeks ago. If you saw our Instagram stories that day, you saw me pretending to eat these! This was a spur-of-the-moment craft, but we thought you might like to make these pie boxes too. So today we’re sharing the template along with the instructions. 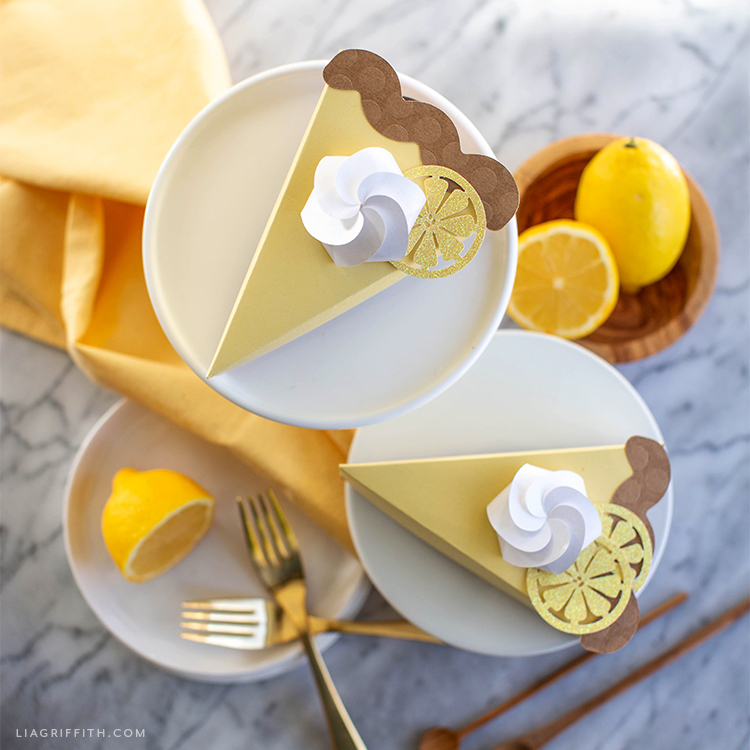 These paper lemon tart pie boxes are super cute and easy to make. You can cut our template by hand or use your cutting machine–whatever you prefer! Once you have everything ready, just follow our instructions below. This is a great craft to do if you’re hosting an event that involves pie or some other yummy dessert. 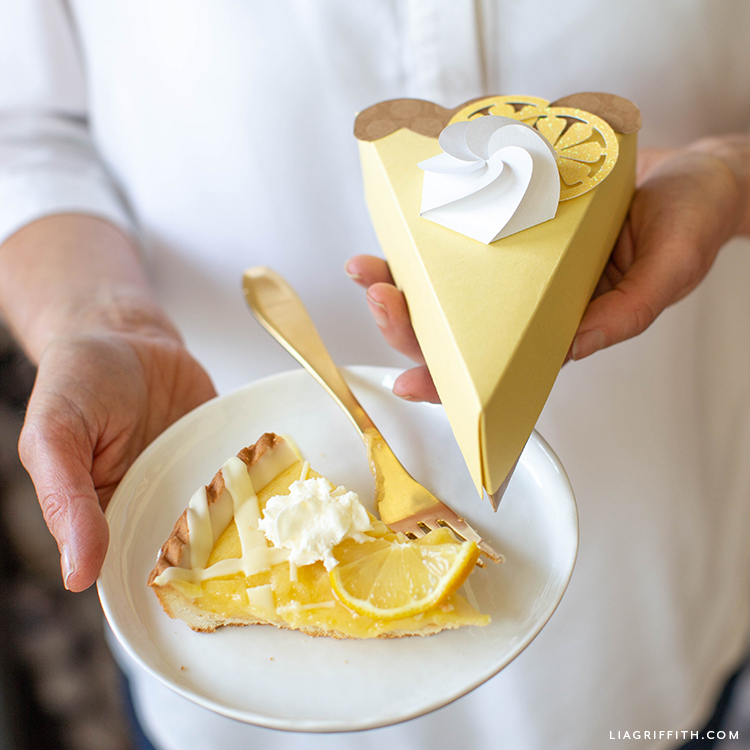 Just think how much your guests will love to take home a delicious slice of pie in their own adorable pie box! You could also craft them to use as party decor. 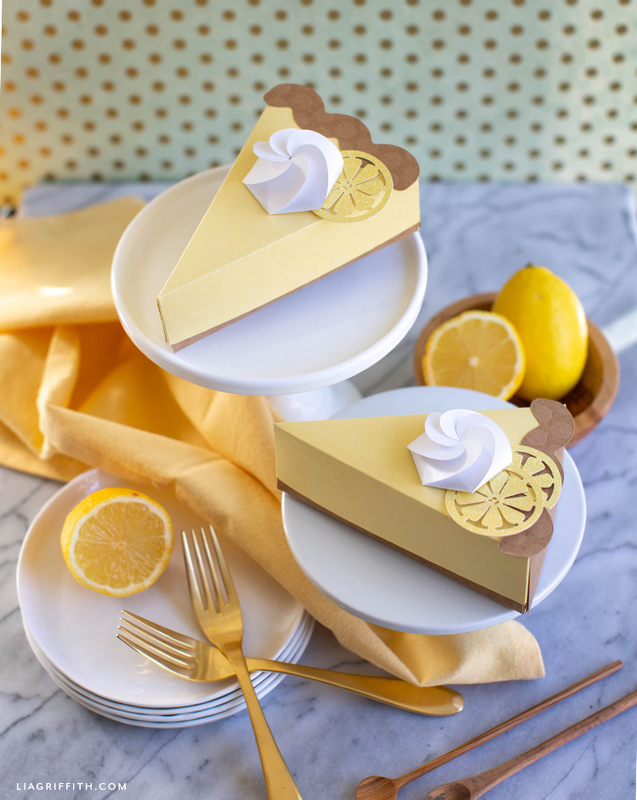 While the design is based on a lemon tart pie, you can always use these boxes for any kind of pie (or cake!). Download the pie box template below. Then cut and fold according to the template. For the whipped cream, fold along the dotted lines inward. Then, overlap each small bump on the spiral toward the center, pushing down lightly in the center to “lock” the pieces into place with the little notches. The puff will pop up a bit and ta-da, it’s done! Want more DIY ideas? 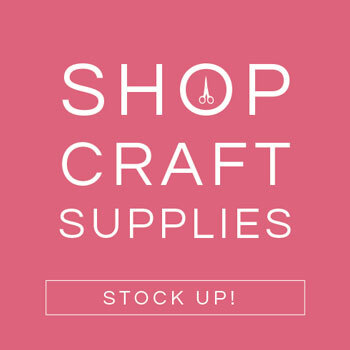 Browse all of our paper crafts to see what else you can make! For more DIY ideas and inspiration, connect with us on Instagram, Pinterest, and Facebook. 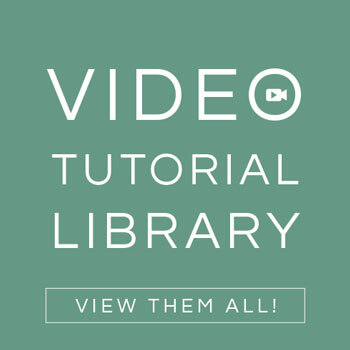 You can also browse our video tutorials on paper flowers, home decor, and more. 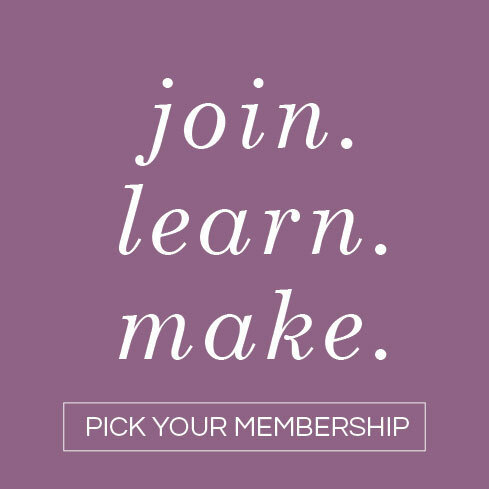 And if you haven’t joined our craft community yet, take a peek at our membership options! Hi Liza– can you email hello@liagriffith.com with more details about the problem you’re having? The SVG file looks fine on our end. Thanks! the Lemon pie looks wonderful. I’d like to try and taste. Will you please publish the recipe? Thank you! The tart was store bought locally but maybe we will add it to our project list. Meanwhile I’ll have a look for a suitable recipe in my baking recipes collection. Didn’t you publish a recipe card with your citrus collection – stationary, tags, sewing, craft ideas etc. – 2 or 3 years ago?